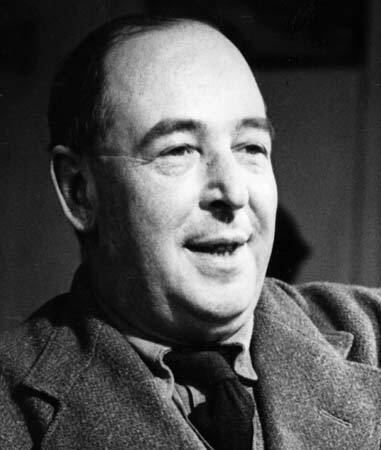 Although he died fifty years ago today, seven years before I was born, I consider C.S. Lewis to be one of the most influential people in my life. His books have educated and inspired me and I try to model my evangelism and apologetics efforts largely after his. For that reason Michael Christensen’s book C.S. Lewis on Scripture caught my eye. 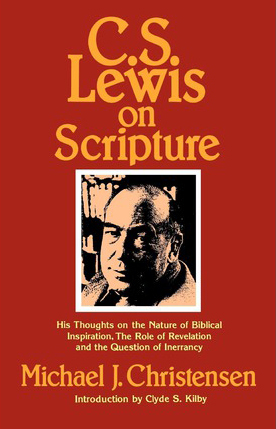 Having read much of Lewis’ work, I felt somewhat knowledgeable about his views on quite a few subjects, but I realized when I saw this title that I wouldn’t be able to articulate what Lewis believed about scripture. Christensen’s insightful work helped rectify that situation. So Christensen’s answer to the question: “In what way is the Bible inspired according to Lewis?” is “mythically” (77). However, because most people do not understand that word in the way Lewis used it, Christensen suggests a different term: He thinks we can accurately say Lewis views scripture as “inspired literature” (77). Here the author brings the material of the book together in a nice package. He has discussed Lewis’s view of literature, his view of myth and, albeit perhaps incompletely, his view of revelation. Now we see how this applies to Lewis’s view of the Bible in that Lewis sees the Bible as revelatory mythical literature. Scripture performs all of the functions of myth and should be read accordingly. For example, we should understand the literary elements of the Bible as “embodiments of spiritual reality” (77) and approach them as a good reader, using intuitive perception to receive and experience that reality, which is divine. One of the more helpful insights I have gained from Lewis over the years, and which Christensen rightly emphasizes in this book, is that approaching the Bible as myth does not mean the biblical stories are unhistorical, although they can still be considered inspired if they are. By that I mean we have the freedom to approach the entire text as revelatory myth while retaining the freedom to consider each as part of the genre in which it was written. I think the Creation story, the story of Job, and the accounts of Jesus’ miracles all have great mythical qualities. We do not have to treat them all as non-historical in order to retain those qualities, although if any of them are historical, we can also accept that and still treat them as myth. This point is widely missed by people who are skeptical of the historicity of the Bible as well as those who are not. In both cases, I believe it is a hindrance to receiving all that the Bible has to offer. For example, I often interact with those who think that if a biblical story has mythical value, it must be non-historical. These folks recognize the mythical elements in the text, but assume that means the story must be historically false. I’ve actually heard many biblical scholars debate against the historicity of the resurrection of Christ by presenting as evidence all of the ways in which the New Testament fulfills the Old. At one recent presentation, the skeptic’s insight into the text was so remarkable that my friend took notes furiously in order to use the material in his sermons. Somehow the skeptic thought this mythical element of the text meant that the stories could not have happened. He couldn’t see the history for the myth. Another very helpful insight I gained from Lewis (and that was emphasized by Christensen) regards the use of metaphor in describing God. The Bible is full of them: Creator, Redeemer, Good Shepherd, Everlasting Father, the Door, the Way, etc. These images purport something to us; they say something to our “fear and hope and will and affections” (78). However, sometimes the abstract theological statements we come up with about God conflict with, or at least take away from, what these images purport. For example, for me, the idea of an omnipotent, omniscient, omnipresent Deity does not match up with the purport of the image of a Good Shepherd, taking care of the sheep and searching earnestly for a lost lamb. When this happens, Lewis tells us that we should go with the purport of the image every time (78). As has been noted previously, ultimate reality is not reducible to abstract propositions and rational formulas. Myth is the best revealer of ultimate reality because it puts us in direct contact with it through images and story. Myth goes beyond rationality and abstract propositions. When applied to the Bible, this means that scripture reveals God directly to us through images and story and we should trust the purport of those images rather than abstract, rational propositions about God. I do not think this means we should not attempt to discover rational propositions about God, but I find those propositions are often unhelpful and agree that they should be abandoned when they conflict with the purport of the clear images of scripture. We should take the images at face value, realizing that metaphors are imperfect but the best medium we have for communicating between finite and infinite realms. This principle has really helped me in my approach to the Old Testament in particular. There God is described in ways that are very anthropomorphic. He gets angry and frustrated, he changes his mind, and he enters into a conditional covenant with his people. None of these actions is very consistent with the proposition that God is immutable, in my opinion, although I happen to believe that God is immutable. However, understanding that God cannot be fully described by my philosophical language and that the best means of divine communication is metaphor (as imperfect as that is) allows me to accept the purport of the images and leave room for some mystery in my philosophical speculations about God.